GOOD LUCK to our GMA athletes RACING at the SSA Long Course Meet at Brown! Each GMA athlete will achieve at least one personal best time per day. GMA athletes will show excellent team leadership and outstandingly positive attitudes. As we prepare for the first long course meet of the season, our GMA families are reminded to please be sure our athletes are on the pool deck 15 minutes prior to the start of our scheduled warm-up time. In addition, we expect all of our GMA athletes to warm-up and warm-down properly before, during and after the meet. We also expect all of our GMA athletes to stay on deck, cheering for their teammates, until every GMA swimmer has finished racing. We care about our teammates, we care about our racing and we care about our team! The meets are the best opportunity for us to showcase our teamwork! For more meet information, please click HERE to link to the main information page. Please click HERE for the final GMA team entries. Please be sure to review ALL of the information listed BELOW so that you are best prepared for a GREAT weekend of GMA racing!! GMA Team Scratch Policy: All GMA team members are expected to race in every event in which they are entered. Swimmers who have problems or concerns about their events must talk to a coach before the scheduled warm-up time to determine if an event scratch is necessary. Any swimmers who choose not to attend the meet must let Laura know at least 24 hours in advance of the meet. The following reminders and guidelines are offered to our families to insure that ALL GMA swimmers, parents and coaches enjoy FUN and SUCCESSFUL meet experiences! 1. Please arrive at the pool early. All swimmers need to be on deck ready to swim 15 minutes prior to the scheduled warm-up time. Please stay for the entire session in which you are swimming. Stay to participate on relays, to help clean up the pool area and to cheer on your teammates. 2. Please arrive on time for your meet job. Please plan to stay for the entire meet session. 3. Please introduce yourselves to GMA parents and to parents from other teams. We would like to create a cordial and open atmosphere at meets. Please do your part to be sure that all families feel welcome. 4. Parents are reminded that ONLY parents assigned to work on deck, swimmers and coaches are to be on deck. If you are NOT assigned to work on deck, you must be seated in the spectator seating area. This rule is set by USA Swimming and our liability insurance coverage for the athletes and coaches is dependent upon EVERYONE following this rule. Warming up before each event, warming down after each event and maintaining any prescribed physical therapy routine. 7. At meets, the coaching staff will conduct and supervise warm-up procedures for the team. Before and after each race, the coaches will offer feedback regarding the swimmers performance. 8. It is the parent’s job to offer love and understanding regardless of their athlete’s performances. 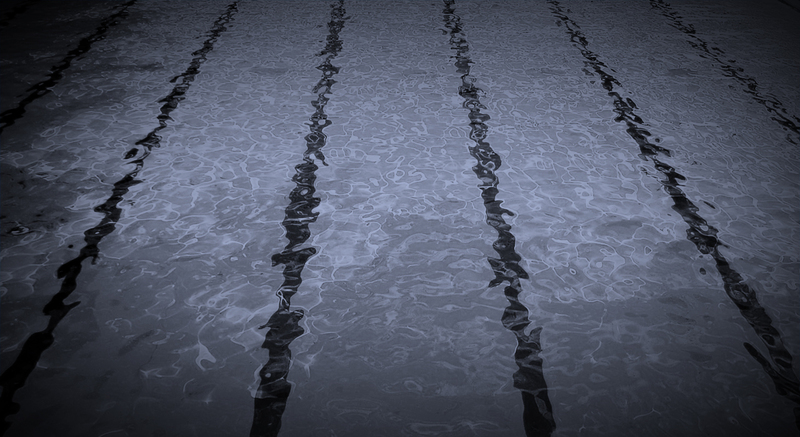 It is not the parent’s job to coach the swimmer on stroke technique, racing strategy or any other technical aspects of the sport. Please be patient with your child and remember that learning to be a champion requires time, experience and encouragement. The meet experiences and your child’s self worth should not be measured by the number of personal best times achieved alone. GMA swimmers are wonderful young people who need to be recognized for their great attitudes and their excellent effort in each race! 9. Please WEAR YOUR GMA ATTIRE and represent your team with pride, respect and spirit! LET'S GO GMA!!! SWIM FAST AND HAVE FUN! !